Get to know Eric Friedensohn AKA Efdot, the educator of our upcoming The Art of Skate Workshop happening on July 14th in Brooklyn, NY. 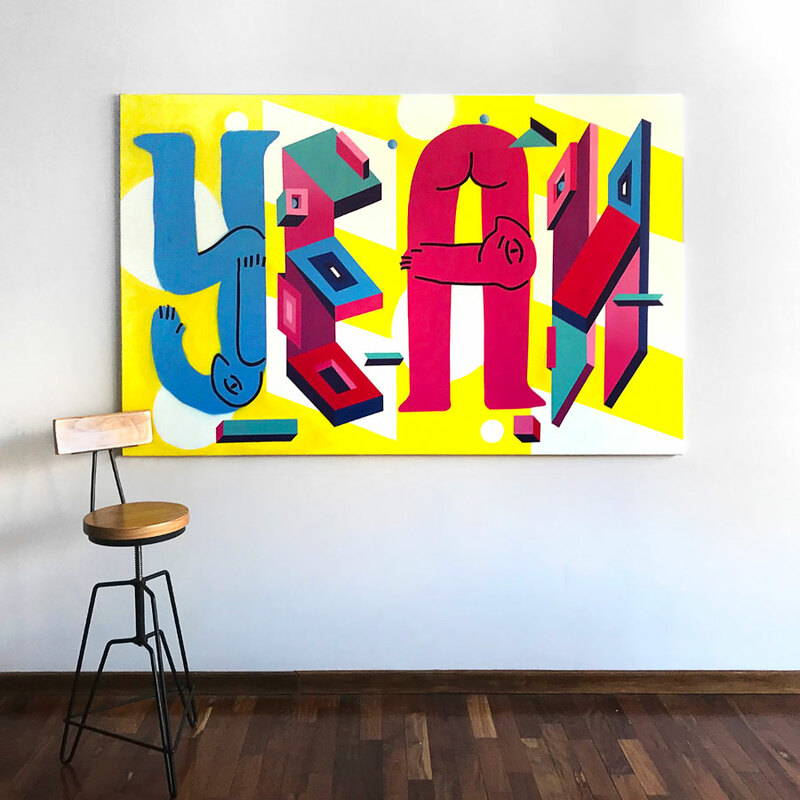 Eric is a designer, artist and skateboarder from New York, currently based in Buenos Aires, Argentina with WeWork. He approaches creativity much like he approaches skateboarding—with no rules. The skate culture's influence can be seen naturally woven into his work, but he definitely doesn’t limit himself to any specific style or discipline. He says it’s all about expression and invention as he's constantly pushing his artistic boundaries. 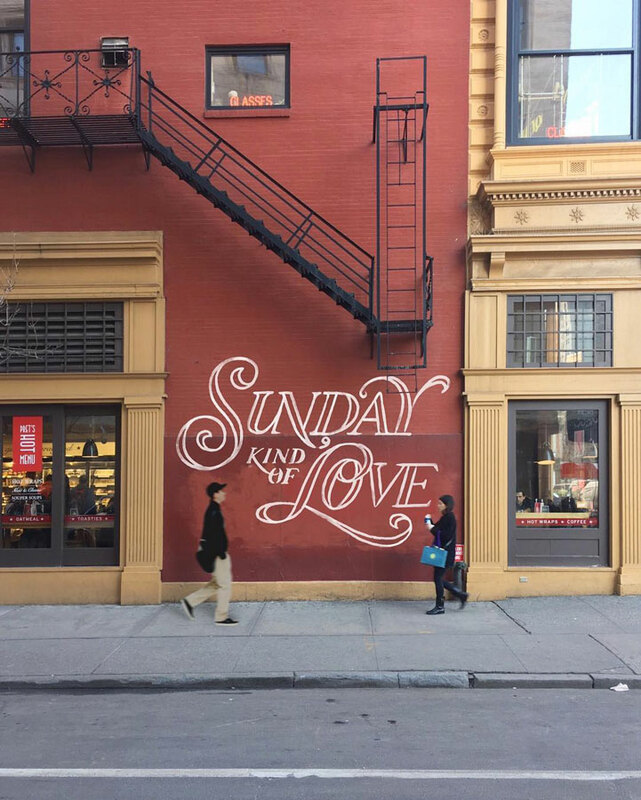 Goodtype: Tell us a bit about your path to a career in hand lettering and illustration? Eric: Growing up I used to visit my grandmother’s house a few times a year. She was a professional stained glass artist and had a workshop in her basement where she made all of her art. Each time I would see her, she would give me a new art book or some of her favorite tools. That led me to practicing drawing for endless hours at school and at home in my room. My family was always encouraging of my creativity, but it took a while for them to see that drawing could turn into a career. I studied graphic design, type and lettering through college and online courses. Outside of the classes, I learned a lot just through observation. I loved skating around different cities, taking photos of all the hand painted signs. I did a big thesis project in college to learn about the craft of sign painting. 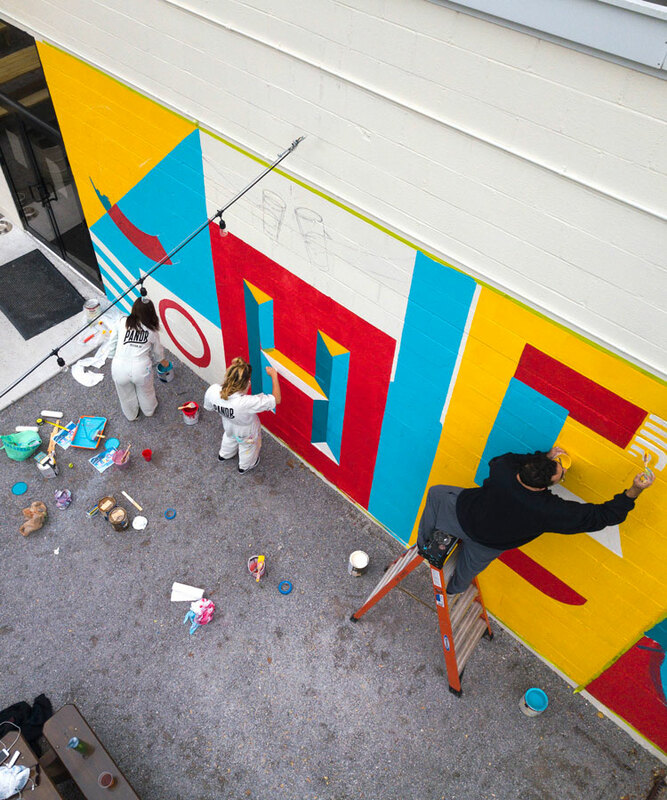 That project led to working for a few sign painters and agencies in NYC – many jobs I found through friends or on craigslist, haha. My career path has been all about curiosity and experimentation. First jobs were a mix of freelance, full time, part time - the whole bucket. I needed to try a variety of different environments to find my niche / my people, and design my own career. 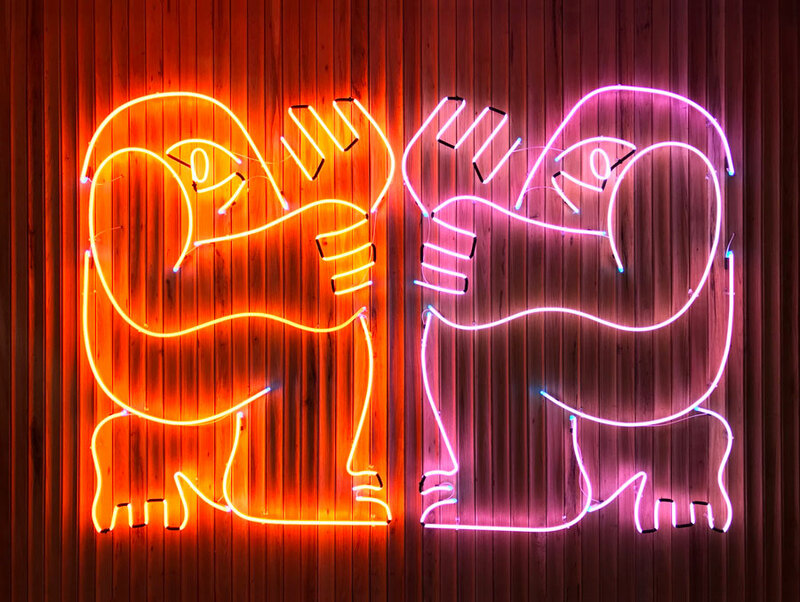 For the last 2 years, I have been working with Lunch Money — WeWork’s Art and Graphics Team. I’ve gotten to apply my art to so many different mediums - murals, neon signs, wallpaper - the list goes on. I try not to think of my work as simply “lettering” or “illustration” and instead just let it flow. These labels and categories can make us feel stuck. Everything is connected in some way and we don’t have to limit ourselves to a specific discipline. I’m still in the learning every day and trying new things. I want to keep exploring the balance of creating work that I love to do and what the world needs. GT: You’ve created a beautiful “Optimist” wordmark which is incorporated in some of your merch. What does that word mean to you? 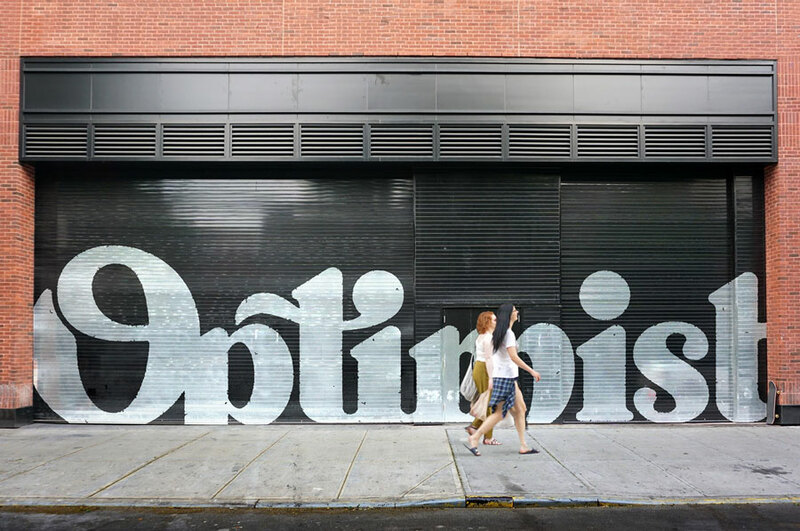 The Optimist project started after a terrible building fire that happened at my home in NYC. One of the only undamaged things that made it out of the apartment was a sketch that I was working on earlier in the week said “Optimist”. Honestly it should have burned but it was kept safe inside a scanner that was melted shut. When I found the sketch, I chose to see that as a sign to help get me through the messy aftermath of the fire. Eventually I made a small run of prints, patches & shirts with that design to raise money for others who went through similar disasters. There’s a difference between being blindly ignorant and being optimistic. To me, being an optimist means to stay focused on improving and giving, despite the circumstances. No matter what, we always have a lot for which to be grateful. My friends and I made a short video about the project, which you can watch over at www.optimist.nyc. GT: When did you start skating and has skateboarding influenced your work? If so, how? Skateboarding and creativity have always been hand in hand. There are no rules in skating; it’s about expression and invention. I started skating when I was 12 and fell in love instantly. The visual culture was everywhere — skate magazines, murals and graffiti at skateparks, the deck graphics! All of it helped to shape my aesthetic. I remember getting my first skateboard and picking it out off the rack. It was a yellow Andrew Reynolds Baker board. I loved the color so much, I didn’t even want to cover the top with grip tape. GT: Who are some of your lettering influences? John Langdon has been a huge influence for me. I had him as a professor in college for a class called “Advanced Typography” which was basically a lettering course. You might know him as the ambigram designer, who made art for the Dan Brown books like The Da Vinci Code. John taught his entire process and shared his philosophy in the most interesting ways. He helped me to develop my sensitivity for form and push me to create my first refined pieces of lettering. My “take it easy” piece was the final project in his class. Other than John, the best influences are the ones around you. I am most influenced by the artists I know well and have met in person, like my grandmother and my WeWork teammates, my girlfriend... and of course, my cat, Pocket. GT: How did you get into painting murals? 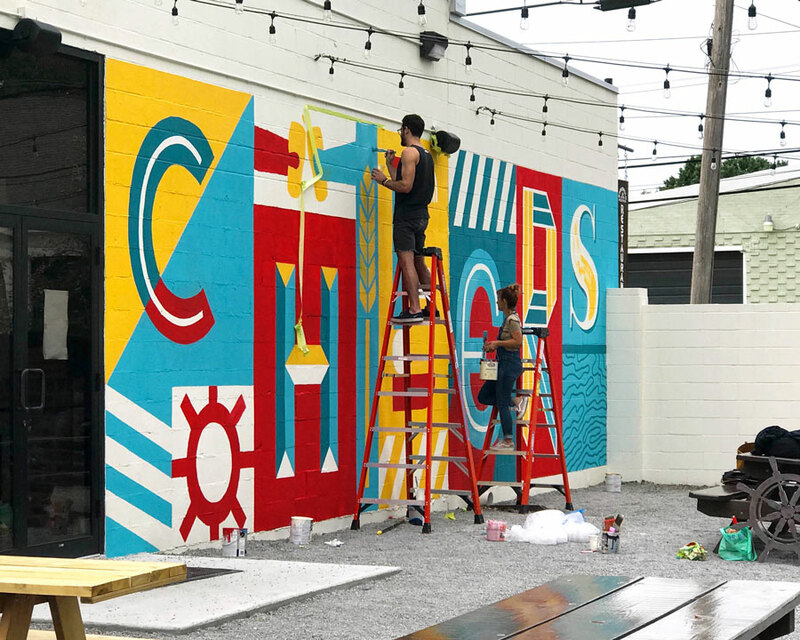 How long does one mural typically take to finish? 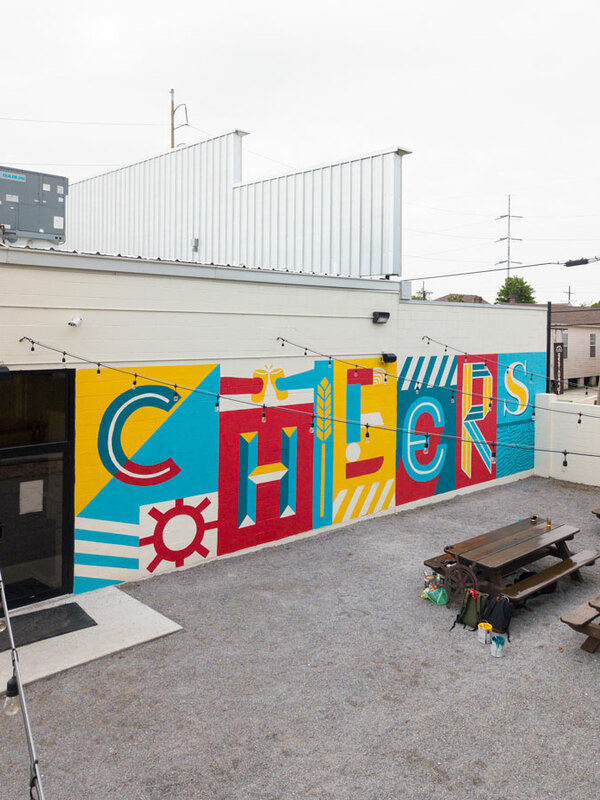 I got into murals through sign painting. My first official hand-painted client project was for a cafe in NYC called Perk. I painted a big piece using One-Shot enamel that said “Respect the Coffee Gods”. It was so thrilling and it left me wanting to go bigger and create more impactful pieces. I had very little experience, so I needed to work my way up to the large scale little by little. At that time I was working for an event design agency. They had a big chalkboard wall that was very under-used. So I started staying after hours, drawing murals on this wall to practice. I would invite my friends to collaborate with me and make a new piece each month. 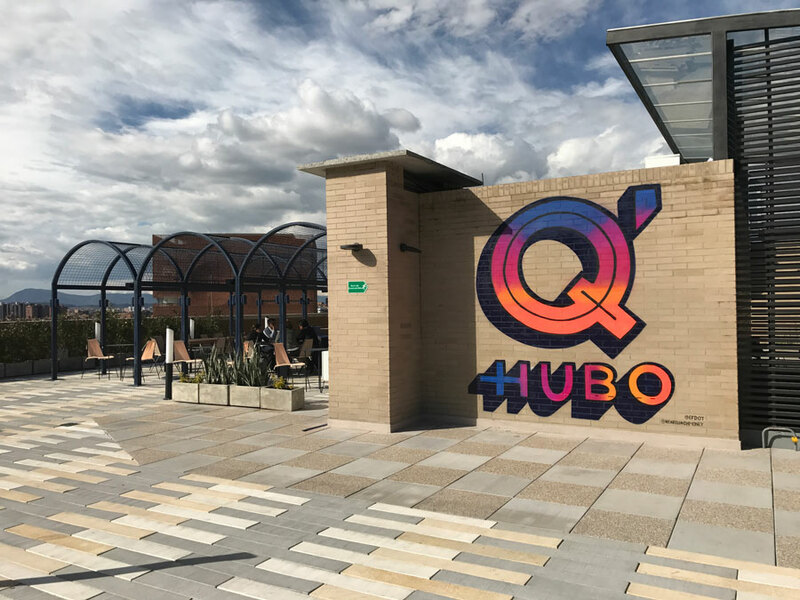 Eventually people started hiring me to create murals for their businesses. 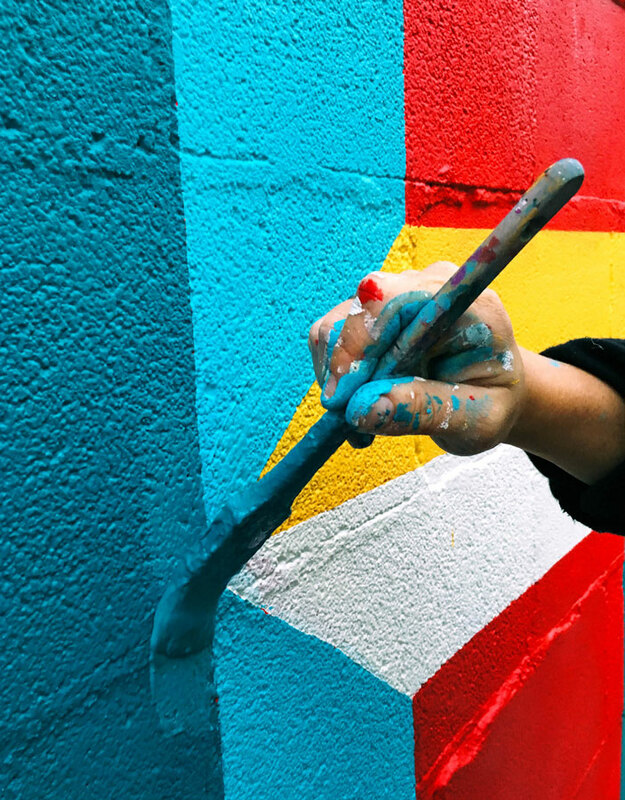 I love how every mural project comes with a different list of challenges. The time it takes to complete really depends on the size and the amount of detail, plus the texture of the wall. Some take only a few hours to complete. Larger ones can take up to a full week of work. GT: What are some interesting projects or collabs you’ve worked on recently? This past year of projects has been all about Latin America. I’ve gotten to learn about the different cultures down here, and collaborate with a few awesome artists like Ledania, Sam Greco and UnegSurfer. 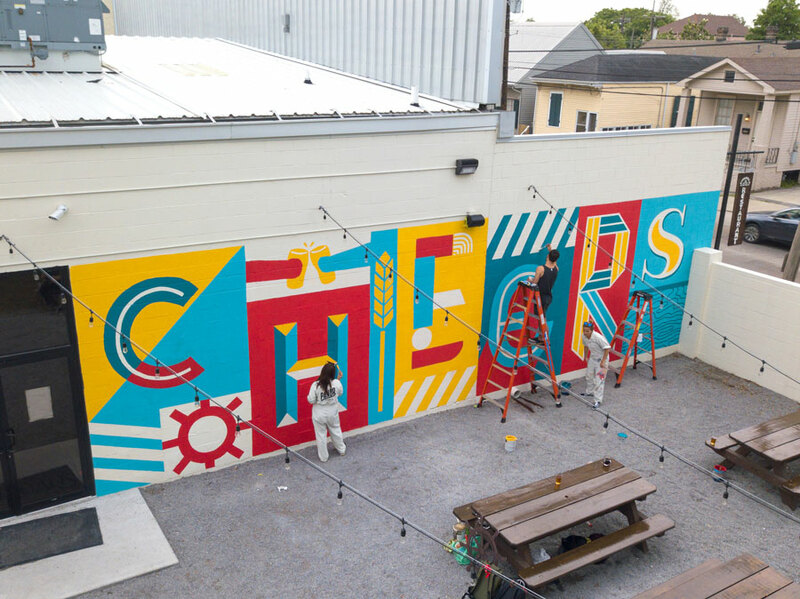 I also recently painted a mural at a brewery in New Orleans with some of my very talented friends: Roxy Prima, Phoebe Cornog, Adam Vicarel and Ashlee Arceneaux Jones. GT: How did you get started teaching? My mom is a Special Education teacher, so the desire to teach others has always been there for me. When John Langdon was retiring from teaching, they asked me to come and host a lettering workshop at Drexel University in his honor. That was my first time teaching to a group and I have been doing them ever since. GT: From where do you draw your inspiration? Do you have specific method you follow when beginning a project? Inspiration comes from living life. For me that means so many different things: Travel, music, relationships… All of it inspires my work in some way! If you’re getting out and living life, it’s impossible to feel uninspired. Some projects require a lot of up-front research, which is one of my favorite parts. I’m really interested in developing the concept & context before making any marks on paper. After that, I always start with ideation sketching - usually in a pocket sketchbook or just on basic printer paper. Getting started can sometimes be the hardest part, so I find the less intimidating, lo-fi tools work better for me. GT: What are some of your favorite tools and why? Do you use certain specific tools/brands for different projects? Any certain kind of paints, brushes, markers, or spray cans? Or do brands even matter? There’s a great quote that I heard through Timothy Goodman – “If you want to change your look, change your tool”. I think he got that advice from a teacher, and it is so true! Overall the tools don’t make or break the artist, but they can definitely help to achieve certain styles or help you work smarter. They can also make the process more enjoyable and less frustrating. For example, if you are attracted to bold shapes like me, you can start drawing with bigger, clumsier tools like paint markers or wide bushes rather than using a fine pen. That saves a bunch of time and also leads to some happy/weird accidents in the process. Some of my favorite analog tools are the Blackwing pencils, Krink markers, Posca pens, broad-edge calligraphy pens and Baron Fig sketchbooks. Digitally, I mostly use the Procreate App as well as Adobe Photoshop + Illustrator with the Astropad app so I can draw using my iPad Pro and Apple Pencil. GT: And finally, we have to know, where did you get the name Efdot? I’ve had it as a nickname since preschool! There were two Erics in my class, one good and one evil, both with long last names. People called us Eric S. and Eric F. That got shortened to “F.” (pronounced ef-dot) and somehow it has lasted all these years. Thanks so much for inviting me to share what I love to do, and thanks for reading! Find Eric on Instagram at @efdot and learn more about him at efdotstudio.com. For anyone interested, we still have a few seats left for our Art of Skate Workshop! View more details and get tickets here.